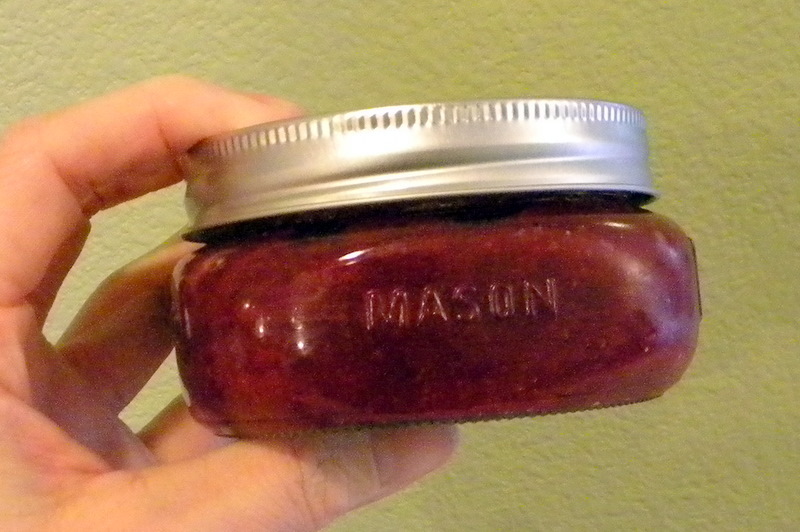 Are you a fan of cranberry sauce?? Do you like it from a can? a jar? or homemade? We love it in this house! shocker actually with my 2 picky eaters~!! So .. Homemade Cranberry is a MUST in our house on Thanksgiving! We love it ON our turkey!! and after Thanksgiving we use it like jam! I usually make it as directed on the Ocean Spray Cranberry packaging. 1 cup of liquid. 1 cup of sugar. boil. cook. smash. cool. serve. only I break the rules. You knew this was coming! ha! For the 1 cup of liquid I use 1/2 orange juice and 1/2 apple cider. and I use a little vanilla. and it makes it sweeter! =) Pear chunks are delish too!! and I usually cut the sugar in half. I was feeling a little saucy when I made it. I have to be in the right mood to eat ginger. This Canadian Thanksgiving day I was at the tail end of a cold. 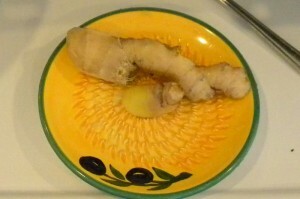 and I had been adding ginger to my secret “when I am sick hot drink”. The real test was to see if my Littles noticed it!! so I had to …um… uh… add more sugar than the packaging called for! and the Littles (aka the kids) did not seem to notice the ginger!! ha! and serve it as is… a little chunky. and give it a whirl … or two! now it is less chunky. Let it Cool and put it into a couple fancy jars. Lucky me my neighbors do!! 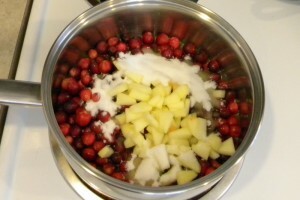 I dare you to try my Gingered Cranberry Sauce! I will share more of my Thanksgiving dinner tricks with y’all as the week goes by… I will share my turkey bird secret and my stuffing secret. in the LAST non-rainy wet day of the year here in Western Washington. Our lives are over. Forever. we will be trapped indoors. or be forced to walk with boots, Slickers, hats, umbrellas and WET dogs. It is going t be one WET soccer game this weekend! I think Abby might have a fever that day?! Oh wait… her daddy is the coach… I don’t think that will fly! I am off to enjoy a tinsy tiny bit of sunshine before it is all over. forever. I would love your sauce, I know it! I do make whole berry cranberry sauce according to the bag directions, but I leave it chunky. I might try yours this year though! Yum! And, I love that cute little jar. First off…I choose to not believe your dismal forecast!! 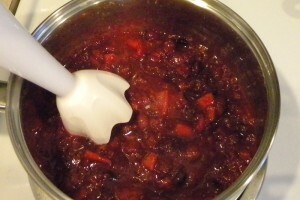 ANd secondly…cranberry sauce makes me gag! Just keepin’ it real! 😉 But I still love ya!! Love, love cranberry sauce. in fact, i have a bag of fresh cranberries just waiting to be cooked up. your recipe looks delicious. my absolute fav turkey and gravy recipe is from sunset mag… the best i ever had!! i look forward to reading all about your other thanksgiving tricks, jenn! Have fun in the rain…as long as it is not cold it is kindof fun to watch soccer in the rain…ok maybe not. 🙂 Hope the game goes well though. Nice to hear from you!! I could take a picture of Mt. Baker every day and it would always look different and even more beautiful!! Yes, I made the quilt, but if you look closely you’ll see puckers and eneven parts…just the way I roll!!!! Your cranberry sauce looks so good!!! I have cranberry bogs right by my house and it’s so fun to watch them harvest…I have a post on it somewhere! When I was growing up it was the can…didn’t like to eat it, but loved to slice it!!!! 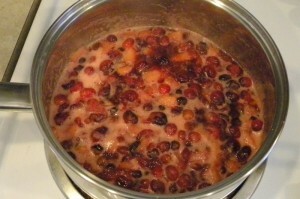 Not a huge cranberry lover, but do like to make my own at Thanksgiving!!! I love the rain! I’m ready to stay indoors and do something fun!!!! Like quilt, scrapbook, a puzzle, reading!!! I still have a ton to do outside, but I’m thinking it will have to wait til next year!!! I like orange zest and a whole bunch of cinnamon in mine! I have never tried this. 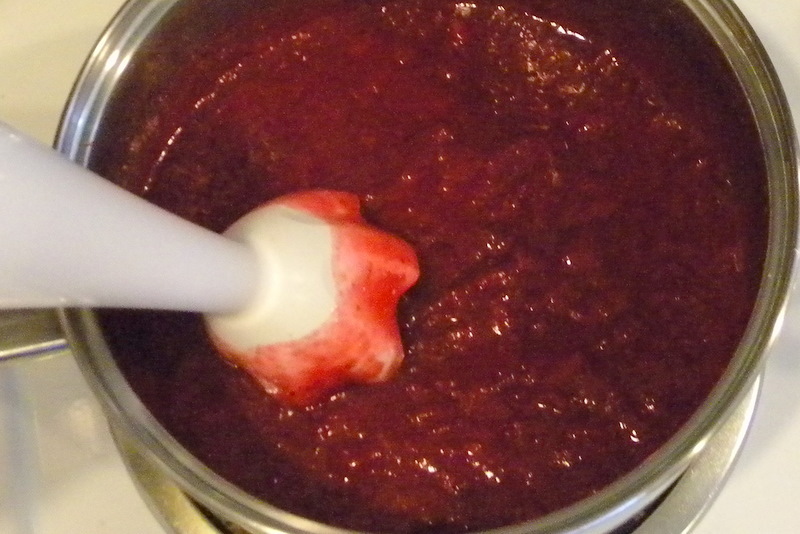 Probably because my family always bought canned sauce… and well… it just looked gross to me. Ha! You make it look yummy… and such a great gift idea, too! So happy I that you found me so I could find your great site. Yum! Yum! Yum! we LOVE cranberry sauce! and what a darling hostess gift idea!!! oh that does look good!! I just might have to try this one !